DETROIT -- Chrysler Group and Ford Motor Co. are testing the limits of truck buyers' appetites for pickups loaded with leather, chrome and heated seats -- with price tags that can top $50,000. It took just three days for dealers to snap up the full-year's allotment of Chrysler's new luxury-trim Ram Laramie Limited pickups, Ram brand President Fred Diaz said in an interview. Ford said last week that it will add a range-topping Limited luxury model for the F-series pickup this year. Chrysler began production last week of the Ram 1500 Laramie Limited in suburban Detroit. It has such upscale options as a heated steering wheel, ventilated front seats and heated rear seats, and it displaces the Laramie Longhorn as Chrysler's most expensive truck. The Longhorn, with lots of chrome and leather stitching meant to evoke the ambience of cowboy boots, raised Chrysler's average truck price last year. 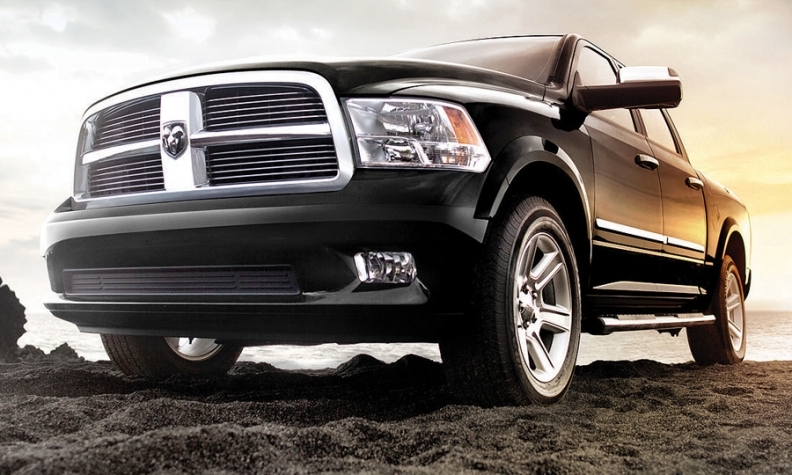 About 13 percent of light-duty Ram pickups sold for at least $40,000, up from 9 percent in 2010. With all of the Laramie Limiteds scheduled to be built this year already spoken for by dealers across the country, Chrysler is working with suppliers to try to boost production, Diaz said. Chrysler says the Laramie Limited is a "Platinum fighter," a reference to Ford's F-series Platinum, which has heated and cooled power front seats in black or pecan leather, along with Ford's Sync voice-controlled infotainment system. Ford plans to add a fancier model this year called the Limited. A $40,000-plus King Ranch edition of the F series caters to Texas tastes with its 8-inch touch screen, Sync infotainment hub and dual USB ports. Want snakeskin leather accents? The Ford Harley-Davidson F-150 starts at around $50,000. General Motors added the Denali premium name to its GMC Sierra pickup line in 2010, and this year Denalis have made up 35 percent of heavy-duty Sierra retail sales, up from 15 percent in 2010, said Tony DiSalle, vice president for GMC marketing. A heavy-duty Sierra Denali sells for about $3,000 more than a Sierra SLT, which starts at just over $40,000.